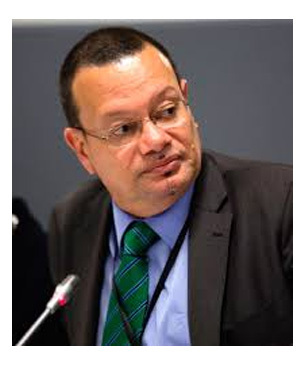 Seychelles ambassador Ronny Jumeau has been appointed to the international advisory group of a new NGO initiative which seeks to encourage dialogues on climate geoengineering. Also known as climate engineering or intervention, climate geoengineering is intentional, large-scale human interference in the Earth’s climate system to reduce the negative impacts of climate change. The New York based Carnegie Council for Ethics in International Affairs said in a press release today that Janos Pasztor, the executive director of it’s Carnegie Climate Geoengineering Governance Initiative (C2G2) had announced the setting up of an Advisory Group “of leading international experts to guide and support its work in catalyzing the establishment of effective governance for climate geoengineering”. Pasztor was Assistant Secretary-General and Senior Adviser on Climate Change to former United Nations Secretary-General Ban Ki-moon. “Our work to catalyze the establishment of effective governance for climate geoengineering is a huge and complex challenge involving many diverse actors,” Pasztor said. “The range and depth of expertise reflected in our newly established Advisory Group will considerably strengthen the C2G2 initiative’s ability to navigate these challenges and deliver its mission. The nine-strong Advisory Group comprises a diverse group of leading international experts covering a wide range of sectors and countries, selected to ensure deep insight into key issues relevant to achievement of the C2G2 mission, says the press release. Two more Advisory Group members will be added during the remainder of this year. Members provide advice on the substantive issues behind the work of C2G2. They will provide independent strategic guidance and support to help ensure the initiative’s work is well informed, effective and high impact. As the Advisory Group is not a decision-making body, the members have no direct and accountable influence over the work of the initiative. Many climate experts argue that without geoengineering, the Paris Agreement on climate change cannot achieve its aim of keeping the increase in global average temperature to well below 2 degrees Celsius or the 1.5C demanded by small island developing states (SIDS) and well over 100 countries. Others advise against relying on climate engineering as a simple solution to global warming, in part due to the large uncertainties over effectiveness and side effects. One concern is that geoengineering may be used as an excuse not to cut greenhouse gas emissions to the levels required by the Paris targets. Meanwhile there is no comprehensive multilateral framework to govern the research, testing or possible use of geo-engineering technologies. The C2G2 initiative was launched in New York in February this year with a long-term objective to encourage dialogues on, and the development of such a governance framework.